Share this photo on your wall . Tag AT LEAST 5 friends and Exabytes (MY) in the photo. The more you share, the higher chances of winning! One daily winner will be picked from Monday – Friday. 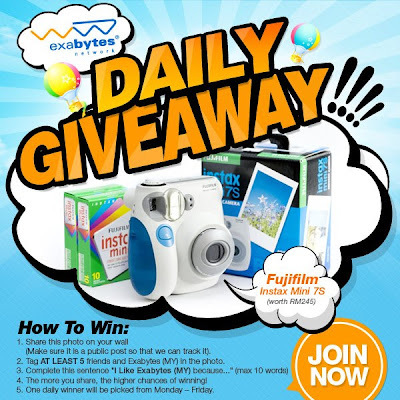 Visit Exabytes Facebook fan page for more details. 8th & 9th September - Volkswagen Das Auto Show 2012. Reserve your tickets now!